New York, New York May 11, 2017. Coming off the heels of announcing the title of the first single “Cant Breathe”, off his soon to be released debut album “Contraband”, Kabaka Pyramid is set to return to the UK. On a musical mission Kabaka Pyramid is looking forward to his upcoming performances in the UK where he will perform in Bristol, Manchester and London. 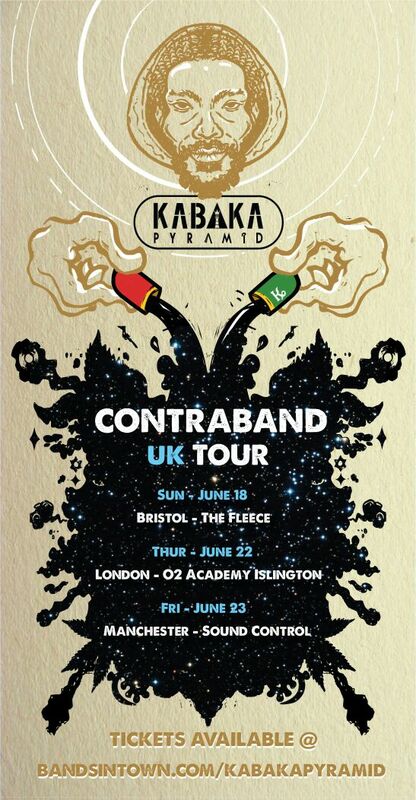 Kabaka Pyramid UK tour kicks off on June 18th at The Fleece in Bristol, then he heads to one of London’s premiere concert venues O2 Academy on June 22nd. His final performance will be in Manchester at the Sound Control on June 23rd , Kabaka Pyramid and the Bebble Rockers guarantee a high energy performance, but most importantly an enlightening and uplifting vibration. 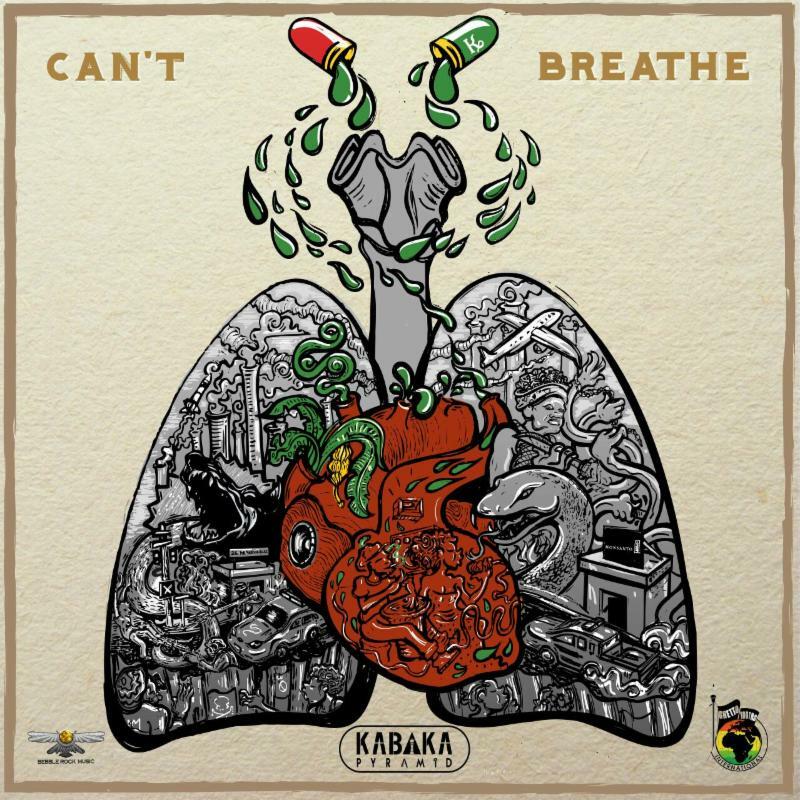 On Tuesday May 9th, Kabaka Pyramid and the Bebble Rock team announced his 1st single by revealing the artwork for “Can’t Breathe” (artwork created by Matthew McCarthy) and social media began to buzz. Depicting a picture of a human lung being polluted with drugs and filled with serpents and companies who continues to suffocate the betterment of the people. “Cant Breathe”, released by Bebble Rock/ Ghetto Youths, is a powerful single discussing the ‘system’ many reside in, with no economic growth and no vision for the people suffering to survive. This single is another example of Kabaka’s creative, ever evolving ability to express himself while educating the minds of the people. As a pioneering force in reggae Kabaka Pyramid debut album ‘Contraband’ , which is a joint label release Bebble Rock/ Ghetto Youths, is definitely one of the highly anticipated albums set to release Fall 2017. With a hectic tour schedule for 2017, Kabaka Pyramid and the Bebble Rockers look forward to embarking on the Contraband Tour, where he will perform some of the favorites and introduce some of the new singles of his debut album.